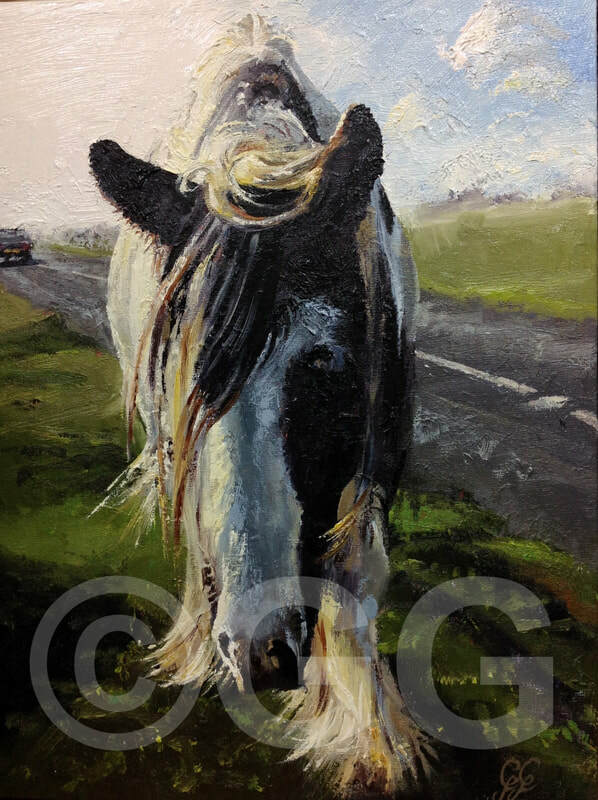 ​Galina is a well-known Cotswold artist who has been drawing and painting since childhood. 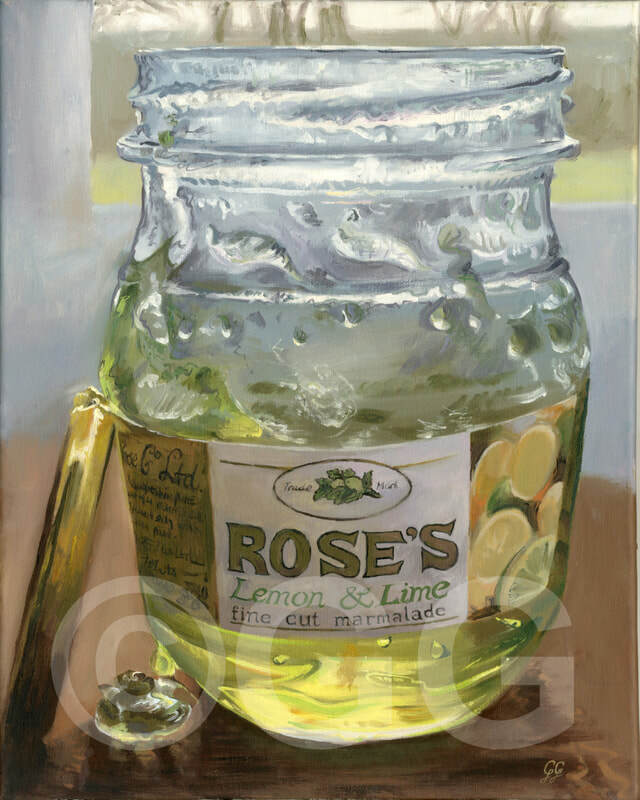 First taught by her mother, a professional watercolourist, she subsequently developed a passion for oil painting, flourishing under the expert tuition of Rob Collins. Since moving to the Cotswolds fifteen years ago she has painted professionally, exhibiting successfully in several Gloucestershire venues ranging from galleries such as Stroud's Kendrick Street and Wallspace, Cirencester, to eateries such as Wilder in Nailsworth and Winstone's ice-cream parlour on Rodborough Common. Galina’s paintings use colour and light as strong purveyors of atmosphere. Particularly popular are her humorous portrayals of cows roaming freely on the commons, through villages and along country lanes. 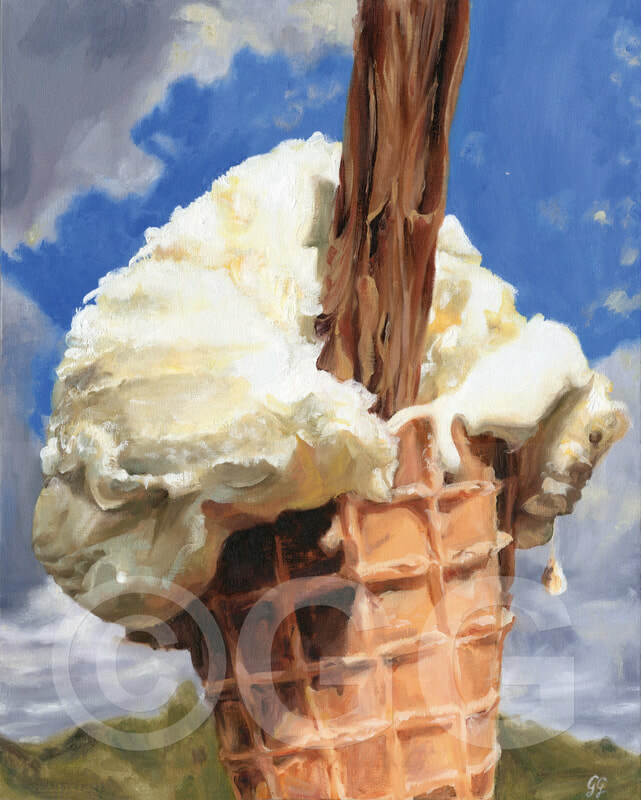 She is also known for her giant Winstone’s ice-creams and other striking depictions of food; in recent paintings, these everyday images are related to broader contemporary issues. Galina combines her artistic endeavours with raising a family of four and a menagerie of pigs, chickens, dogs and cats. She regularly takes on private commissions. 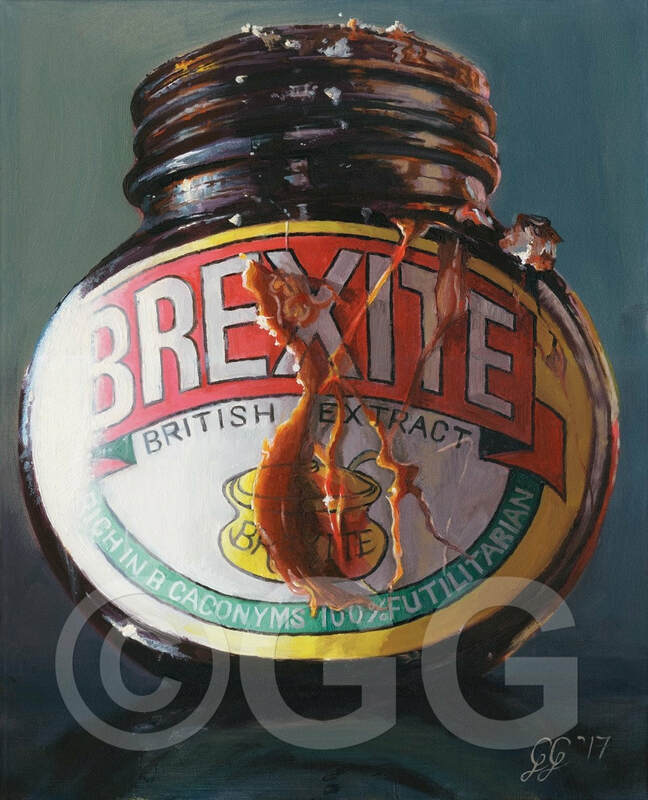 Affordable, archival quality giclee prints of many of her paintings – signed, limited editions - are also available, as are fine art greetings cards.